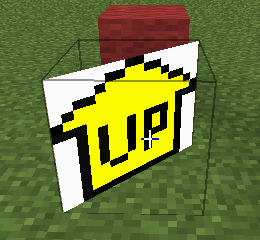 Minecraft uses OpenGL to draw what you see on the screen. But interacting directly with OpenGL is quite messy, so it uses the Tessellator and WorldRenderer classes to make things easier. What you see on the screen is created by a long list of rendering instructions that is executed by OpenGL and your graphics card. These instructions might include "draw a pixel at [3,4,5]", or "draw a line from [1,2,3] to [4,5,6]", or "draw a quadrilateral with vertices [1,2,3], [4,5,6], [7,8,9] and [10,11,12], filling it with bitmap texture abc." 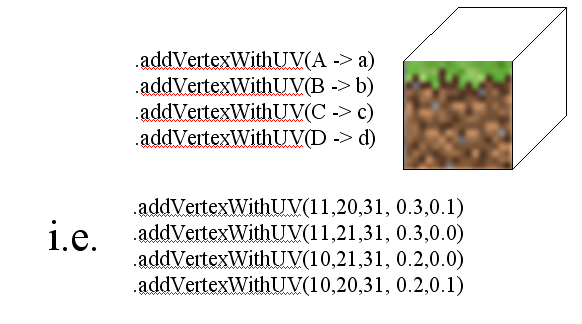 Depending on your version of OpenGL, this list of rendering instructions might be either a Display list (glRenderList in forge) or a VertexBufferObject. 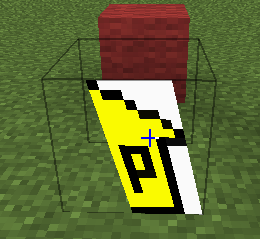 Minecraft has been designed to use them interchangeably. The Tessellator is good for drawing simple things like lines or cubes. But if you're planning to use the Tessellator for anything other than simple shapes, I recommend that you don't! Use Techne instead, it's much easier. GLStateManager.pushMatrix() to save the current rendering position. worldRenderer.setTranslation() to set the origin to an appropriate location. 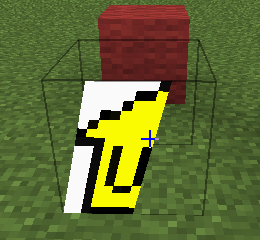 worldRenderer.startDrawingQuads(), which tells the renderer that you will be drawing Quads. Each face of each block is drawn by calling addVertexWithUV(x, y, z, u, v) four times, once for each corner of the face. 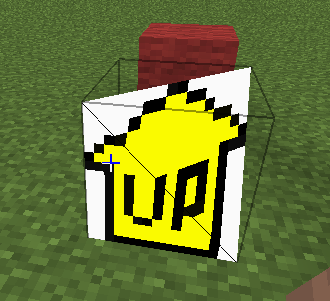 [x,y,z] are the coordinates of the vertex, and [u,v] is the coordinates of the texture pixel (texel) corresponding to that vertex. See the picture and examples below. * The order of the vertices is important! If you are looking at a face, the coordinates must be given in an anticlockwise order. Otherwise, the face will be pointing in the wrong direction. Tessellator.getInstance().draw() to complete the drawing. GLStateManager.popAttrib() and GLStateManager.popMatrix() to restore the previous rendering settings (avoids interfering with subsequent vanilla rendering code). 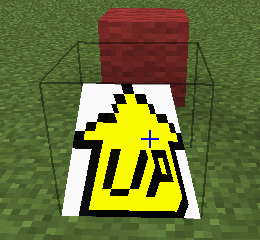 Our test block: rendering an "up arrow" on the Zpos (south) face, a "5" on the east face, a "2" on the north face. Red block points north, blue block points east. Weirdness, probably not very useful! Added the world coordinates in clockwise order instead of anti-clockwise... where did the face go? Looking south: clockwise world coordinates make the face point in the opposite direction. (Pass 0 faces are not visible from their back). The points don't have to be on the outer face, they can lie anywhere within the block. Quads can be sheared - eg the top is pushed right relative to the bottom, or the left is pushed up relative to the right. So long as the top edge has the same length as the bottom edge, and the left edge has the same length as the right edge, it will still render OK. However, if you try to "pinch" the quad (eg the top edge is shorter than the bottom edge) it will render looking rather strange. If your points aren't coplanar (eg wouldn't "lie flat" on a tabletop) then the Quad "folds" into two triangles (ABC, CDA) and may not render how you intended. Although mostly used for Quads, the Tessellator is also suitable for drawing other shapes as well - see the list of suitable drawMode settings below, taken from GL11.class. The vanilla code uses several of these including GL_LINES, GL_LINE_STRIP, GL_TRIANGLE_STRIP, GL_TRIANGLE_FAN. They are used in the same way as for Quads - i.e. .startDrawing(drawMode), setting appropriate flags, adding the appropriate number of vertices, then calling draw(). Turning alpha testing on or off (GLStateManager.disableAlpha() or .enableAlpha()) - used for transparent "cutouts" when rendering. A useful guide to all things OpenGL 1.1 is here. It is superceded by a few more versions of OpenGL by now but it covers nearly all of the aspects that Minecraft uses. Blocks default to 1 – 4 but not 5. Items default to 1 -3 and 5, but not 4. 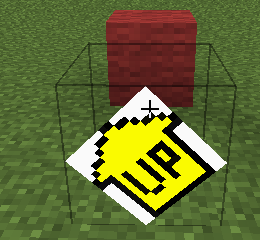 I followed your instructions, but ingame the blockface does not appear. I already debugged and I noticed that the code is executed, so guess ive done smth wrong here. But what is it? Pls help ! Hi Could you post this question on the forum? http://www.minecraftforge.net/forum/index.php/board,73.0.html Lots of helpful folks there. At a rough guess - you are rendering to the wrong [x,y,z] location, so it's there, but you can't see it. 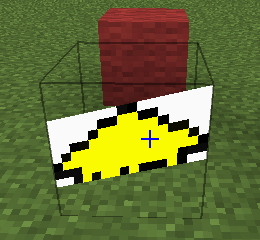 The code looks ok.
As far as I can tell, Icons don't exist anymore in 1.8. What is the process to get texture coordinates now?